Thanks for joining us! Where do you go from here? That’s up to you! Here are a few options. The TrekFan Discord is our social chat server, running 24/7. Click here to join the party! Folks are usually chatting at all hours, because we have a significant number of members around the world. We do a lot of Amazon Giveaways on the TrekFan Facebook Page, and it’s one of the first places we share new news and information for TrekFan members. When you see the RED ALERT posts on the Facebook Page, pay close attention — It usually means that there’s going to be an opportunity to win free Star Trek stuff. TrekFan Radio One is our internet radio station and it’s absolutely awesome. There are several live shows a week, as well as lunch specials that run at 12pm Central. Learn more about TrekFan Radio One (and see the current broadcast schedule) by clicking right here. 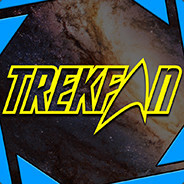 The Starfleet Academy program is one of TrekFan’s most popular projects. If you’re in the United States (and you provided your address when you joined), you’re eligible! Just send an E-mail to incoming@trekfan.org and ask to be enrolled — We’ll get a free Star Trek book out to you as soon as possible.